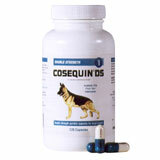 Advantage for dogs and cats,K9 advantix, Heartguard, Drontal de-wormer, and Frontline. 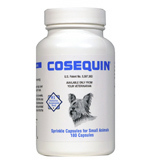 Direct information for you and your pet on the most popular flea and consumer available pet meds. Bayer HealthCare's Animal Health Division in the USA is getting off to a great start in 2003 with a new veterinary product to combat ticks, fleas and mosquitoes. The new product eliminates the vectors that transmit Lyme disease and West Nile virus, two diseases that represent a danger to humans too. Has your cat had trouble lately jumping on the counter? Does your dog just lie there when you throw a ball rather than chase after it? 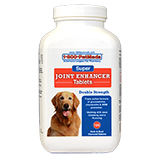 If so, your pet could be suffering from achy and stiff joints. Ever have an itch that just won't stop, no matter how much you scratch? Well, if it's happening with cats and dogs it could be a sign of a problem. Excessive scratching could be an indication of fleas, ticks, allergies, dermatitis or an open wound. Developed by veterinarians, D.A.P.™ (Dog Appeasing Pheromone) is a synthetic pheromone that naturally controls and manages pet behavior associated with anxiety, fear, stress or phobias. Modipher EQ™ Mist (Equine Appeasing Pheromone) from Veterinary Products Laboratories (VPL). The product is for equine veterinarians who wish to offer an alternative to owners looking for a natural, safe and effective way to reduce stress and thereby modify horse behavior caused by fear-based stress. 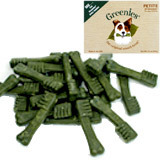 Greenies are a chewy highly nutritious treat proven effective in preventing buildup of dental tartar.